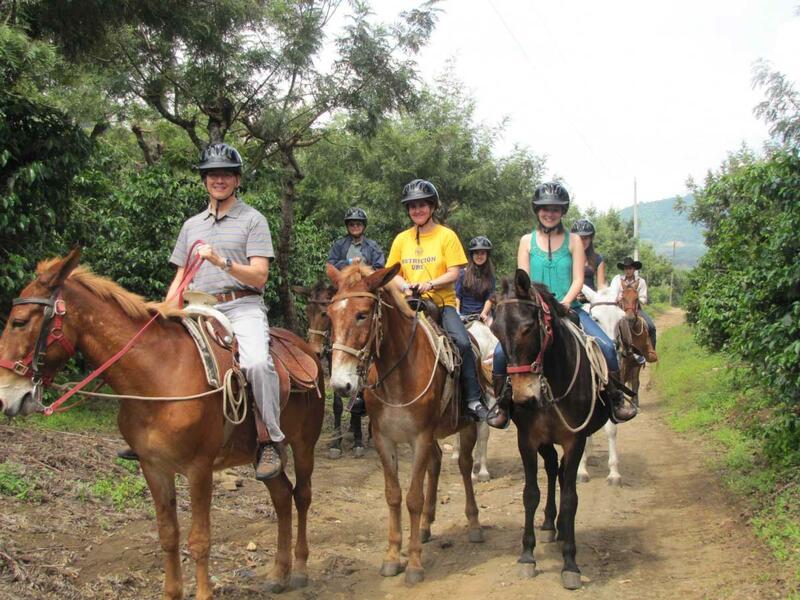 On this tour you’ll explore the Finca Filadelfia coffee farm on a mule. This is a great way to see the many beautiful landscapes at Finca Filadelfia. Set just outside Antigua, Finca Filadelfia is one of the oldest coffee farms in all of Guatemala. The property here includes not only coffee plantations but also rainforests, cloud forests, and mountains. Around 170 species of birds have been spotted here. It’s all very beautiful. During this tour you’ll ride Texan mules on mountain trails. Along the way you’ll enjoy wonderful views and learn a little about the Finca Filadelfia coffee plantation. There are several options for this tour, all of which are listed below. This tour begins at the main house on the farm and leads you through coffee plantations to a wonderful lookout. 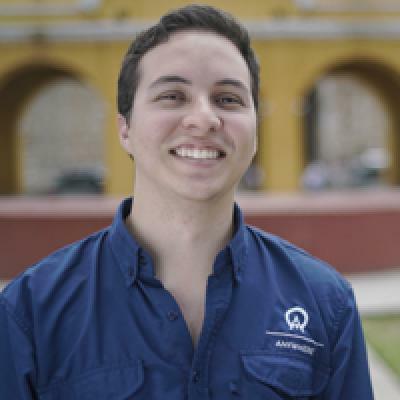 The lookout is set at 7,000 feet (2,100 m) and has views of Antigua, San Juan del Obispo, San Felipe de Jesus, Ciudad Vieja, and other villages. The tour finishes with a tasting of Finca Filadelfia’s own coffee in the preparation of your choosing (either Americano or espresso). Hours: Monday to Saturday from 10:00 AM to 3:00 PM. Enjoy a relaxing half-hour ride along roads that lead through the coffee plantation and forest. Keep your eyes out for birds and enjoy the beauty of the surrounding nature. Sunscreen, camera, comfortable shoes, and money for meals not specified, personal expenses, handicrafts, and tipping the guide-driver. Guide, the Mule with the helmet and saddle to ride during the tour. Collective Transportation from Antigua.